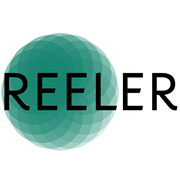 The REELER project is launching a newsletter with the aim of the informing interested parties about the latest REELER developments. 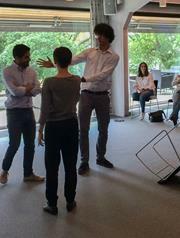 REELER is a new interdisciplinary EU Horizon 2020 project, which began in January 2017 with a kick-off event in Milan, Italy. If you are not already a sucscriber but want to stay updated and receive our newsletter, please subscribe here. A mini-public is a democratic innovation that provides the opportunity for citizens to engage in parliamentary deliberation on a given topic. New technologies such as robot exoskeletons, robot prosthetics, and robot ‘carers’, have the potential to radically transform how healthcare services are provided to patients in the future. 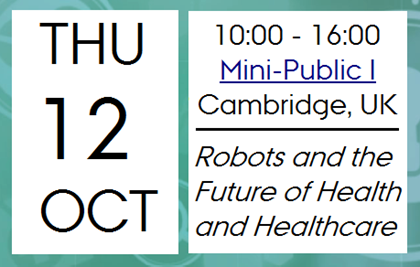 We invite healthcare providers, healthcare recipients, and makers of new robotic technologies to participate.